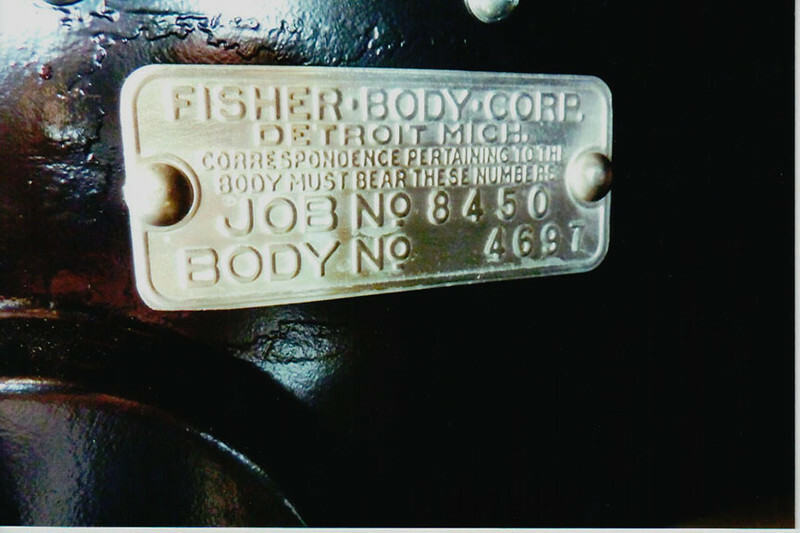 Fisher Body Tag - on Firewall, from Job. No. 8450 for model 29-50 with consecutive body number 4697 (out of 8377 model 50 and 50X's produced).